Stephanie Hein grew up outside of Huron, South Dakota. Her folks had a rhubarb patch, she grew up sampling desserts made with the fruit. She, like many kids, also would pluck a stock, dip it in sugar and eat it raw. Memories of the stocky plants that resided in the Hein yard extends beyond culinary use. “Spring/summer...let's do some baking!! True story, when I was 4 a neighbor convinced me eating raw rhubarb would help me grow tall and the rest of the summer I would go chew on rhubarb...it must have worked I am 6" tall,” wrote Hein on her Instagram account. Still, Rhubarb definitely has an established fan base. Check out the hashtag on Instagram. There are over 400,000 posts designated #rhubarb. 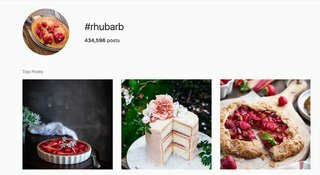 Rhubarb is a Popular Topic on Social Media. Rhubarb has been popular for thousands of years. It was used for medicinal purposes by the Chinese in 2700… B.C. This National Geographic article explains that the plant was carried across Asia and into Europe and eventually crossed the Atlantic to North America. 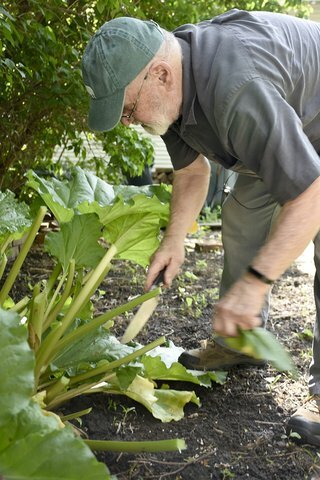 Rhubarb grows really well in Alaska and has been a nutritious source of Vitamin C in environments that perhaps didn’t grow other produce in abundance. 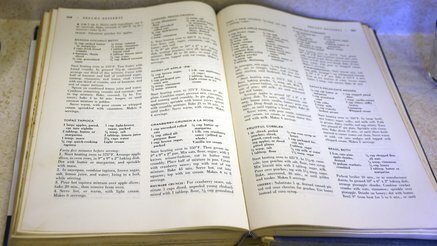 Alaska Public Media shares a few recipes and anecdotes. Did you know that there is a rhubarb national anthem? It originates in Minnesota, from the Lanesboro Rhubarb Festival. Folks at the W.H. 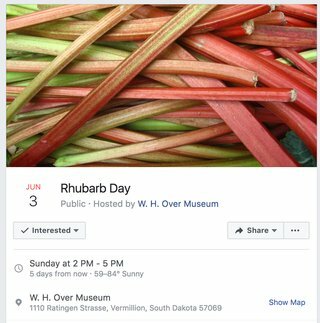 Over museum in Vermillion, SD have adopted the anthem and sing it at their annual rhubarb day event. 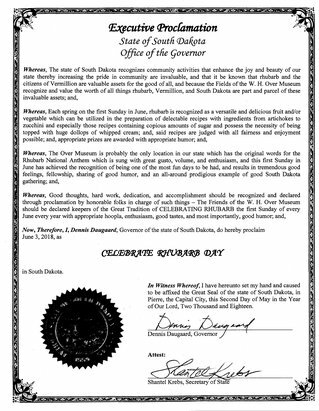 This year Governor Dennis Daugaard issued an executive proclamation making Vermillion the rhubarb capital of South Dakota for the day of June 3, 2018. 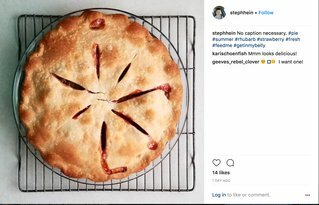 Folks in Vermillion enjoy a good rhubarb dish. Maxine Johnson helped with the early events beginning fifteen years ago before taking the lead as organizers. Rhubarb day features guest speakers, musicians and a variety of dishes featuring rhubarb. Johnson says that while the plant is often overlooked, it also appeals to our pioneer heritage and Midwestern upbringing. It’s a vegetable... or fruit, its classification is debated and widely available. It doesn’t seem right to not make use of free food. “And I think it surprises people that you can do so much with it. 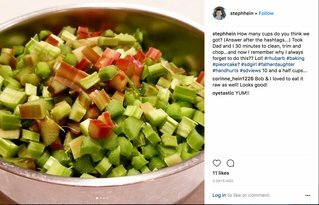 I know you can make rhubarb, like she said, rhubeans, or rhubarb hotdogs, or rhubarb soup. We've had rhubarb chicken. And I prefer the desserts. My absolute favorite is rhubarb custard pie,” said Johnson. Once established, red or green varieties are hearty and will live in your yard for the long haul. Larry Bradley, director of the W.H. Over Museum has a prolific plant that predates his residency. It was there when the Bradley family moved in 50 years ago. Meanwhile Maxine Johnson wishes for a plant that persistant. Johnson has lived at her acreage since 1977. She has successfully had a rhubarb plant for one year. Her desire for the tart stock inspired an ad in the museum newsletter soliciting a harvest from those who had plenty. 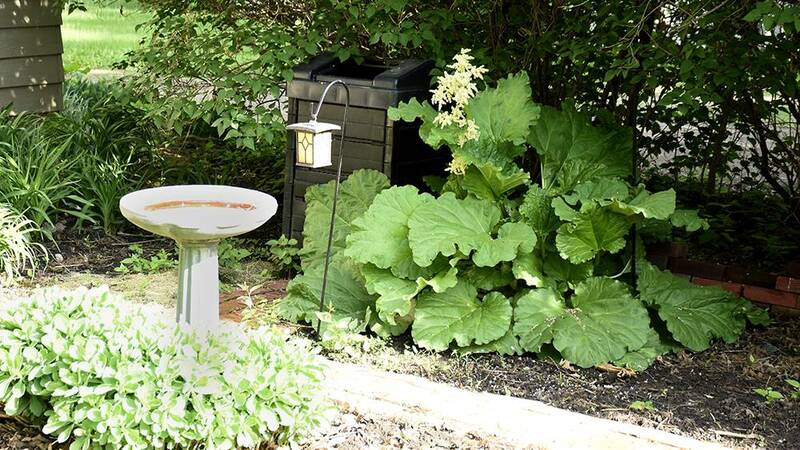 If you’re curious about Vermillion’s rhubarb festival, it is an annual event that takes place on the first Sunday of June. Details are available at the W.H. Over Museum Facebook page. Rhubarb Day is the First Sunday Each June. Are your kids hesitant to try rhubarb, even dipped in sugar? Just tell them that eating it might make them taller and share a slice of rhubarb pie with friends.